Lahontan, a true retreat in the grand Tahoe tradition, is one of North Lake Tahoe’s few private gated golf community. Lahontan is a four-season, 720-acre paradise towered by stands of Jeffery, Lodgepole and Ponderosa pine that stir in the summer breeze. Featuring a Championship 18-hole golf course, elegant lodge, and health spa/fitness center, Lahontan is the perfect place for your family and future generations to explore all of life’s finer pleasures. Lots priced from $260,000 – $1,500,000. 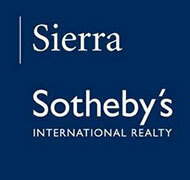 Homes priced from $1,500,000 – $5,000,000. For additional information on Lahontan Golf Club click here.